0 to $100 In 24 Hours Review - Another Scam EXPOSED? 0 to $100 In 24 Hours Review – Another Scam EXPOSED? Hi, I’m Simon and welcome to my 0 To $100 In 24 Hours Review! That’s by far the best way to avoid scams and find the legitimate ways to make money online! From 0 To $100 In 24 Hours says it’ll help you do just that – make at least $100 in the next day by simply copying their methods. Can we believe what the promo video tells us or is 0 To $100 In 24 Hours a scam to be avoided? Is this finally the legitimate money making system you’ve been looking for all this time or just another waste of your time? Despite having way too many upsells, 0 To $100 In 24 Hours offers a decent course on helping beginners make their first affiliate commissions. However, some of the techniques they recommend are unethical in my opinion. Follow their advice and you could end up selling scammy, low quality products to unsuspecting buyers. Definitely not a good strategy in the medium to long-term. What Is From 0 To $100 In 24 Hours? From 0 to $100 In 24 Hours is an 8 video course that claims to show you the secrets of successful super affiliates. It promises over-the-shoulder training on how to make your affiliate commission within a day, even if you’ve got no website, no traffic, no email subscribers and no experience. 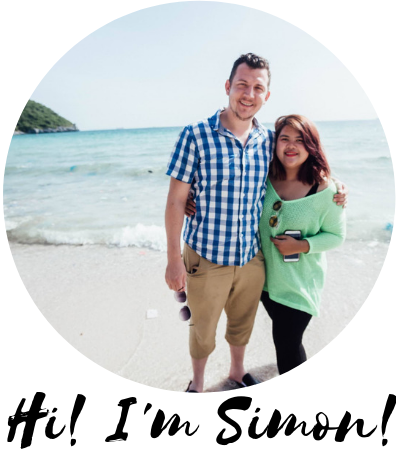 Jono Armstrong, the guy behind this training is someone I can definitely relate to – we’re both from Yorkshire in the north of England, we both make a full-time income through affiliate marketing and we’ve both made the permanent move to south east Asia. I’ve got to say I really enjoyed the promotional video, it’s probably one of the best I’ve seen in terms of promos for affiliate training courses. They obviously put a lot into the production. The big idea behind 0 to $100 In 24 Hours is that you get to learn from Jono as he’s challenged to make at least $100 online starting from scratch in 24 hours with nothing but an internet connection. The whole marketing is based around the promise you can copy copy and paste what Jono is doing to get the same results, even if you’re a complete beginner and never done anything like this before. As you can see, the From 0 To $100 In 24 Hours training is broken down into 8 modules. Gives you a general overview of the course. This video shows you how Jono made $190 in 24 hours starting from scratch. Runs you through how to set up your first free website and launch jacking compaign. Shows you how to find affiliate offers you can promote within the make money online niche. How to give people incentives to buy by offering bonuses using free PLR content. This video shows you how to get traffic to your offers via YouTube and written reviews. Here you’ll learn the fundamentals of keyword research. A general ‘go get em’ summary video. One of the first things I noticed is that the videos here are all pretty brief; each one is less than 10 minutes long. While Jono does a good job or giving you a brief overview of the concepts he’s talking about, I think the training barely scratches the surface in terms of equipping you with what you need to know in order to really be successful online. Running a profitable affiliate marketing business takes a lot of knowledge and skill and honestly is not something you can be fluent in after watching a few short videos. My Top Rated affiliate marketing course has 70+ step-by-step training lessons. How Do You Make Money With 0 To $100 In 24 Hours? Launch jacking is when you take advantage of the marketing hype surrounding a new product launch to earn an affiliate commissions. You can do this by promoting the product itself or another very similar to it. Jono teaches that the best way to do this is by making video or written reviews on make money online products that have yet to be released. As email marketers and other affiliate start ramping up their marketing efforts some people will search on Google for reviews of that product, find your review and buy through your affiliate links. This is why you’ll see tons of 0 To $100 In 24 Hour reviews on the first page of Google which are written by affiliates offering you big bonuses to try and get you to sign up through them. The vast majority of these reviews give you nothing but a repeat of the sales page spiel because their only goal is to get you to buy through their link, regardless of whether it’s a good training course or not. Can you make money with launch jacking? A lot of people have become wealthy doing this, though I don’t recommend it. Is this what I do on The Make Money Online Blog? While I write a lot of reviews and earn a commission when someone clicks through my links, my goal here is to point people to training that I believe will actually help them get to where they want to be and avoid online scams. Everything I write is my honest opinion supported by facts and research. Sure, I could use salesy gimmicks and hype to make more money in the short-term, but I know to be successful in the long-term means actually helping people and building a good reputation. Their sales page says the regular price is $97, though right now it’s available at a discounted price of $12.95. Exactly how long this price will be available for, I’m not sure. The site reads, “If you close this page and come back later, you’ll end up paying more” but it’s says that every time I go back onto the page so it’s probably just more sales hype used to try and pressure you into buying. It’s also good to know what upsells or ‘upgrades’ they’re going to try and get you to buy into. The have 5 in total. This one’s pretty self-explanatory. Pay a little extra and you’ll get training on how to drive traffic to your affiliate promotions and increase sales. Opt in for this upsell and you’re told they’ll send you given super targeted buyer traffic to your sites for a whole year. This is for 13 done-for-you sales funnels you can use to promote other make money online products. You’ll get done-for-you sales campaigns put together by Jono himself every month ‘for life’. This last upsell will give you full reseller’s rights to 0 To $100 In 24 Hours meaning you can rebrand it and sell it on as your own and keep 100% of the profits. I’ve talked here on the blog many times before about why I’m not exactly what you would call a huge fan of upsells. You could say it’s a pet peeve of mine! The main reason is this: if the product you’re selling is as good as you say it is then there should be no need for any upsells at all. #1. Your product isn’t as good as you say it is so it can’t stand up by itself. #2. Rather than trying to show people how to put money in their pockets, you’re more concerned with filling your own. While I definitely don’t recommend implementing the launch jacking technique taught within the course, you will still get an insight into how the process of making money with affiliate marketing works. Unlike most affiliate training out there that tells you to copy and paste your affiliate links all over Facebook, Jono runs you through the basics of setting up a website, starting a YouTube channel and how to do keyword research so you can build a sustainable source of traffic from search engines in the long term. If you like the idea of affiliate marketing but don’t want to be limited to promoting just make money online type programs then check out this free beginner’s course. It will show you exactly how to set up profitable affiliate marketing websites based around any topic or hobby you’re interested in. You can get a full refund at any point within the first 30 days which is reassuring, though this is only for the 0 To $100 In 24 Hours course. You won’t be able to get your money back for any of the upsells you’ve opted in to. In lesson 6 of the training you’re told to write product reviews on products before they’ve even been released, which means you’ve never seen it yourself and only have the sales page to go by. At best, launch jacking means you’ll be writing shallow reviews giving limited information already found on the sales page and offering as many low-value bonuses as you can while urging readers to buy in. As worst, you’ll simply copy and paste the sales page and claim it as your own. After all, it’s not about giving an actual review, but about getting people to click through at the bottom of the page. If you’ve ever seen launch jacking in action, you can spot these kind of reviews a mile off. While it may work for you in the short term, you’re damaging your credibility and breaking trust with your readers. I’m not saying don’t write product reviews (how can I, you’re reading this review I wrote, right?) but please make sure you’re as honest and helpful as you can be. Don’t start promoting products people to people who are putting their trust in you just because the sales video showed so-called ‘income proof’. Don’t tell people about a ‘revolutionary new system’ unless you know what it actually does. By following the 0 To $100 In 24 Hours method you’ll be promoting make money online products from places like JVZoo and ClickBank to earn a commission. After reviewing hundreds of this type of products I can tell you 90% of them are utter rubbish that come from serial product launchers that are bringing out this type of stuff every other week. They are mostly low value, low quality products that won’t actually help anyone, but who cares as long as the product creators and affiliates are still cashing in right? If the refund rate starts getting too high or too many complaints start coming in, they’ll just start all over again with the next ‘one of a kind online money making machine’. Sure, you could strike it lucky and make money using this method, but at what cost? You’ll be writing fake reviews selling people scammy products you know nothing about. Is this really how you want to earn a living? Long before I started this blog I was earning a full-time income online with websites based on niches or topics that had absolutely nothing to do with making money online. Let me tell you the make money online niche is not easy and the competition is fierce compared to other niches I’ve been in. The beauty of affiliate marketing is that there are literally millions of products and services you can promote and make money with. I know very successful affiliate marketers who have made $10,000’s a month by promoting thinks like motorcyle gear, language courses and camping equipment. What I’m trying to say is you dont have to go down the make money online niche route – there are so many easier, way less competitive options out there. When I’m guiding aspiring entrepreneurs on how to set up their first online business I tell them the same thing. You’re far more likely to succeed at this affiliate marketing gig if you start by choosing a topic you’re interested in and like to talk about and go from there. Is From 0 To $100 In 24 Hours a scam? From 0 To $100 In 24 Hours is not a scam but I don’t recommend it. Jono clearly knows what he’s doing and as we saw in the case study video, he managed to make $190 in a day. The methods he’s teaching could help you earn your first affiliate commission, heck you might even get lucky and earn a decent amount from it. I just don’t think it’s easy as the hyped-up sales page makes it out to be. If you still think it’s worth a shot for the sake of $12.95 then click here and go ahead. I just don’t believe it’s the best training for anyone serious about earning a legit income online. Even if you disagree with me about launch jacking not being an ethical way to make money online, you must admit it’s not a good strategy even from a practical standpoint. Promote get-rich-quick schemes you know nothing about and it won’t be too long before complaints start coming in, people stop trusting your recommendations and your site loses credibility. It makes way more sense to build a real affiliate marketing site you can built into an authority site over time. Not only will the income you generate be more consistent, as your site ranks higher in the search engines, your traffic and income only goes up too. This is how I generate more than $6,000 each and every month from just one of my sites. Follow the same step-by-step training I did and you will get results. The beginner’s training course is 100% free! Thanks for sharing John. As with anything in life, it takes time and effort to be successful! I cannot agree with you more Maria. Just the other day I was debating someone in YouTube comments (not something I normally bother with) but I he was a guy who I won’t name who clearly knew what he was talking about… but then I found out he was promoting the Easy1Up scam – a total pyramid scheme – and I was really surprised. What this showed me was that there’s still the old mindset of promoting any old junk to people to make commissions, but I think this is a really short-sighted strategy. As you say, when you actually put readers first and only recommend products or services you’re confident will help them, you’re going to build a strong reputation over time and build trust. Sorry for the rant, had to get it out of my system lol. Thanks for the great review. I’m always a bit hesitant so like to do my research before committing so thanks for being honest about the program. Being discounted from $97 to $12.95 immediately makes me think it’s gimmicky. Why give it away if it’s so good? Sounds like a way to trick people into thinking they are getting something for nothing and then as you say in comes the upsells. I am working hard to build myself a reputable online business and to be honest these guys really irk me. They are giving the honest ones of us a bad reputation that is undeserved. Geez that turned into a bit of rant, apologies for that. I had never heard of launch jacking so found this really interesting. Again it’s not something I am interested in pursuing but I feel like I have a much better understanding of the concept now so thanks for enlightening me. I really love this paragraph – “You’ll be writing fake reviews selling people scammy products you know nothing about. Is this really how you want to earn a living?” Not me and obviously not you either. I think I’ll give Zero to $100 a miss. Thanks Heidi, I believe $12.95 is the special launch price. Technically they can’t call it a discount because it’s not been at the ‘normal’ price yet, but the point still stands. Yeah as I say, you can absolutely write reviews (like i do), make videos of products but please, always try and be as honest as you can. Most affiliate marketers within the online business niche are still too short-sighted to realise the more people you help, the more successful you will be. Unless you can manage to get a pre-launch copy of the training so you can test it, launch jacking is never a good idea. Thank you so much for providing a real, honest review of the From Zero to $100 in 24-hours program. It’s hard to try everything out before you buy it, and I never know if I can rely on a review to be honest, or is it just someone who is trying to get me to buy it from them, right? So thanks for your honesty and for really diving in. I appreciate it. That’s the point I was trying to make here, people reading your reviews expect you to give your honest opinion. On the plus side, I think we’re getting better at spotting salesy/promotional nonsense, people are seeing through it a lot more. Great review. One thing I’m always looking for better program to help accelerate the increase in wallet size, if you know what I’m talking about. I thought this program looked a bit scammy, But I’m glad you laid out the up-sell path. I’m fine with people offering upsells, but honestly, when it’s one after the other, it never seems to end. Plus, any program that offers to immediately give you money, it just doesn’t seem right. I’m about hard work and focus. That’s what always pays in the end. While there’s people out there looking for shortcuts to wealth, they’ll always be people willing to part them with their cash, drawing them in promises of fast and easy cash on autopilot. I see the biggest issue stopping people making money online is this idea of it being somehow automatic or push-button. It’s a lot easier to train someone how to run a successful and profitable online business once they realise the results follow only when they’ve put in the time and effort first. As I say with the whole upsell thing, it’s a strong indicator that the person pitching the product is more concerned with taking money from people instead of coaching them on how to become financially free.